Serving Dayton, Beavercreek, Kettering, Xenia, Bellbrook, Centerville, Oakwood and beyond... Located in Beavercreek at the corner of Patterson and Grange Hall Roads. Minutes from I-675 or US 35! Preventive medicine, diagnostic medicine, general and limited orthopedic surgery, dentistry, nutritional consultation with full line of diets, complete pharmacy, and an extensive network of specialists. We have LASER surgery capabilities which may reduce pain and bleeding in our patients! We can measure your pet's blood pressure! 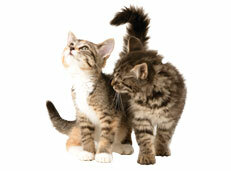 We can run full blood tests and take x-rays of your pet.